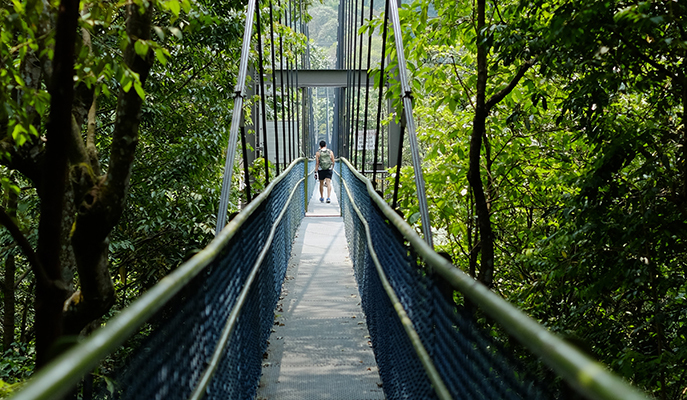 Swap the concrete jungle of the city for the wilderness of MacRitchie Reservoir Park. Trekking here will make you feel as though you’re in the middle of the countryside — once you reach the main hiking trail, you’ll have to commit to its full length. But you’ll be well rewarded for your efforts — the trail will take you to the TreeTop Walk, a 250m-long free-standing suspension bridge that will give you a bird’s-eye view of the forest. 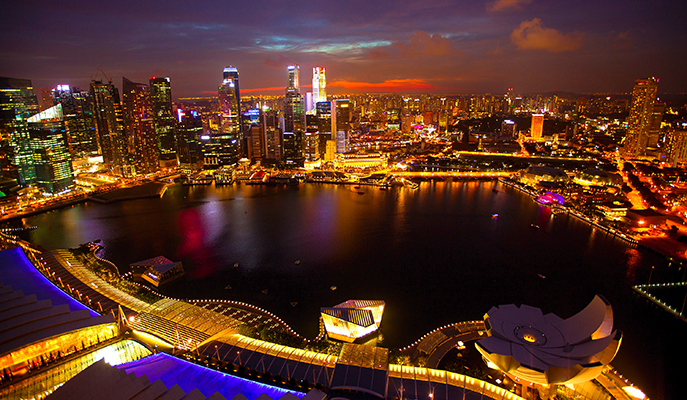 Break a sweat by jogging the Marina Bay Loop, one of the most scenic running routes in the city. 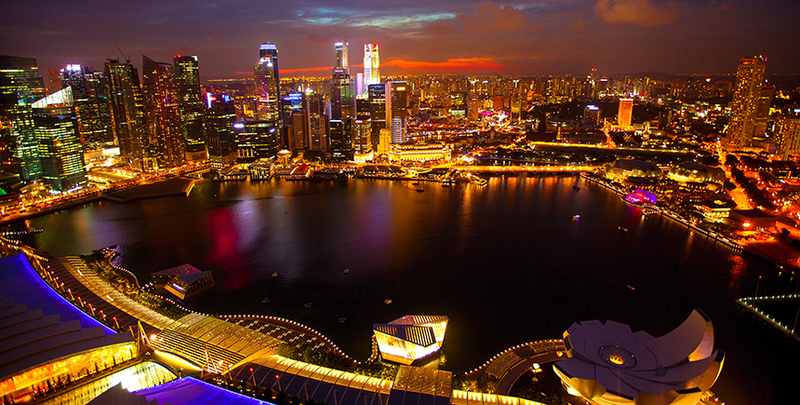 The 5km-long waterfront route will take you past landmarks like the Singapore Flyer, Gardens by the Bay, Marina Bay Sands and the Helix Bridge, and is entirely traffic-free. View the route map here. 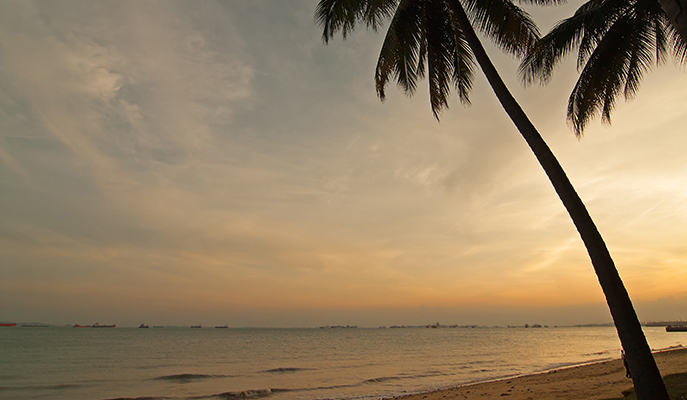 Enjoy the sea breeze at East Coast Park (East Coast Park Service Rd, +65 1800 471 7300), which is home to over 15km worth of beaches. Whip out your skateboard for a few strides, go rollerblading, fly a kite or simply enjoy a picnic on the sand. Visit some of Singapore’s many temples for an immersive experience of the city’s rich cultural tapestry. Sri Mariamman Temple (244 South Bridge Rd, +6223 4064) in Chinatown is Singapore’s oldest Hindu temple, with an ornate, colorful façade strewn with intricate icons of deities and mythical creatures. Also in the neighborhood is the five-storey Buddha Tooth Relic Temple (288 South Bridge Rd, +6220 0220), which houses sacred cultural artefacts — including what is purportedly the left canine tooth of Buddha himself. 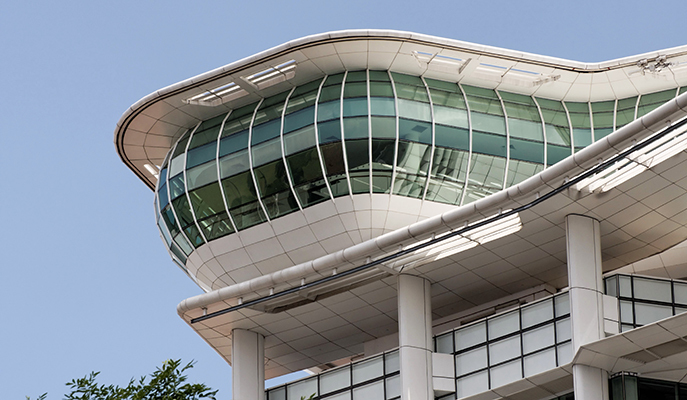 With over 730,000 print and non-print titles across dozens of genres, the sprawling National Library (100 Victoria St, +65 6332 3255; nlb.gov.sg) is every bookworm’s idea of heaven. Spend hours on end just browsing its shelves, before settling down with a good book on one of its comfy chairs. Instead of shelling out cash at the cinemas, why not watch a film for free? Movie Mob (moviemob.sg) offers drive-in and picnic-style movie screenings every weekend at locations all around Singapore; complimentary picnic mats and snacks are also provided. Stay up to date with the latest screenings by following Movie Mob on Facebook. 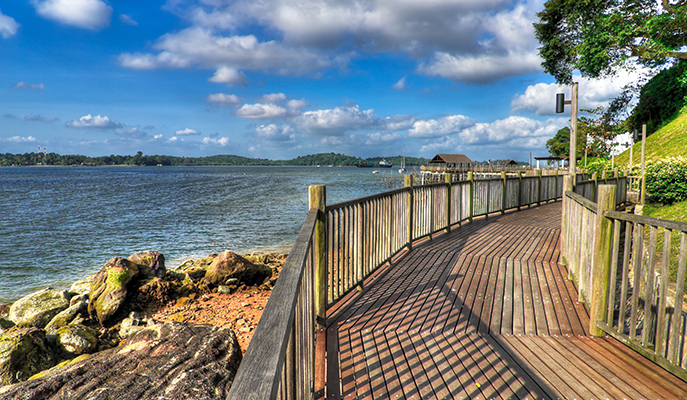 Changi Point Boardwalk (Nicoll Dr, +65 1800 471 7300) is one of the best places on the island to catch the sunset. Take a leisurely stroll along its 2.2km stretch and watch the sun dip below the horizon, before walking over to nearby Changi Village for a fulfilling dinner. Trade your old clothes, books, records and more for other such items at the Singapore Really Really Free Market (facebook.com/srrfm), held at various locations every few months. You can even offer your skills, be it hair cutting or tarot card reading, in exchange for other goods and services. Check the market’s Facebook page for event updates.